Taking a break from other blog topics, I am posting this next entry in response to several requests to see this particular item. Far be it for me to deny the fans that for which they clamor, even though this was originally to be posted later - as both; a part of a series of posts about the various Posters in the Sanctum, as well as a series about all the various weird items that feature ROM; SPACEKNIGHT. DOCTOR STRANGE, ROM: Spaceknight, and the MAN-THING. A rare promotional item, measuring 34" x 22", from 1983, when Marvel was still publishing their MARVEL TEAM-UP title. Sent to comic shoppes at that time, this wasn't something that most fans would have been able to get their hands on, as it was usually displayed in the comic store until destroyed by time, faded by the sun, or simply discarded for the next promotional push. 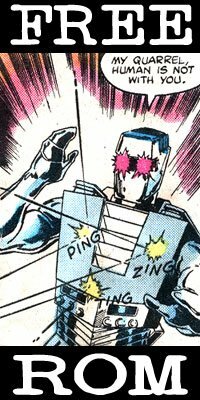 The weird thing is, ROM never made it to be featured as a guest star in Marvel Team-Up! He did, eventually make it as a gust star in the companion title; Marvel Two-In-One (starring The THING) in issue # 99, but never was there a Spider-Man / ROM team up. Man-Thing was featured, at least twice, in the series, and Doctor Strange was a guest, several times over. Now, I can hear everyone saying; "Now wait-a-minute... 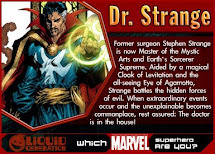 I can see Doctor Strange and ROM, but I don't see the Man-Thing." And you'd be correct. Which is why I noted above with the asterisk " * ". * For you see, the poster in its final - printed - incarnation is not what was originally intended. No. 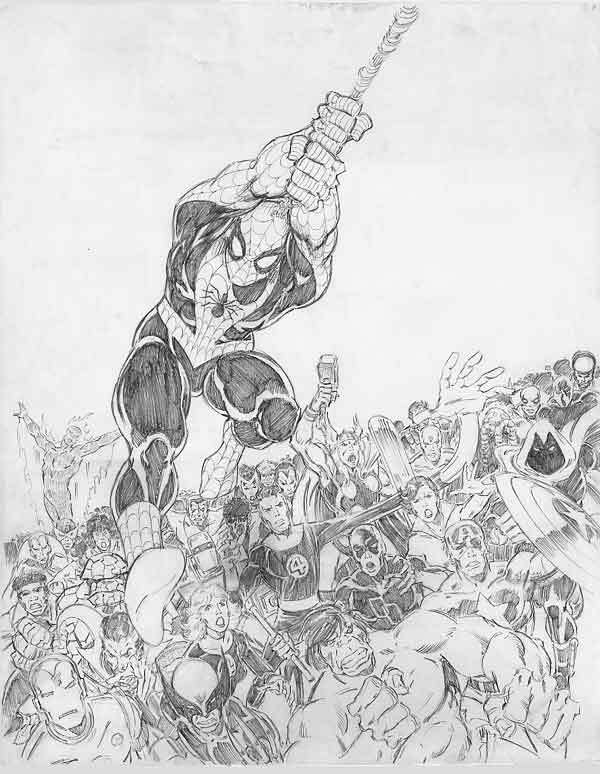 For next you shall see the original pencilled artwork, by Ron Frenz, of what he had originally designed the poster to be. You'll note that many of the characters in the original penciled version are either in different, some might note; less-dramatic poses, or are shifted around with other characters when it came to produce the final piece. Note: Doctor Strange is more menacing, but with no spell-casting gesture, ROM has no Neutralizer being used and Man-Thing is present just behind the hooded cowl of Moon Knight. Other characters are also less dynamic or are totally relocated or deleted - compare and contrast with the printed version to see all the differences! The final product is indeed better than the original layout, with more action-oriented poses and characters flying in the air (as I'd imagine Ron Frenz wasn't sure how much room was needed up top for logos and type copy), but alas... poor Man-Thing was omitted. I can ALSO hear you saying; "Hey! 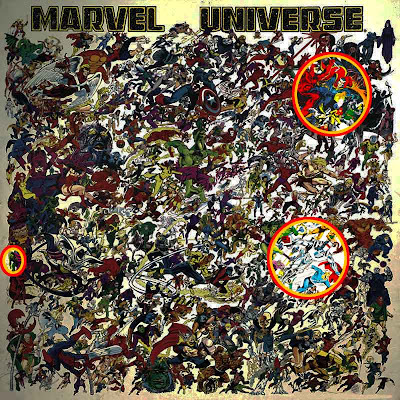 Didn't the 'MARVEL UNIVERSE' poster come out first?" 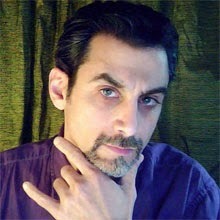 As I noted above with my double-asterisk" ** " was that I was intending to get to that as well. I am only showing this version - where I highlighted THE THREE, as I will be posting a solo entry for this poster eventually. This GIANT poster (seriously, it's like 4 feet high by 4 feet wide!) 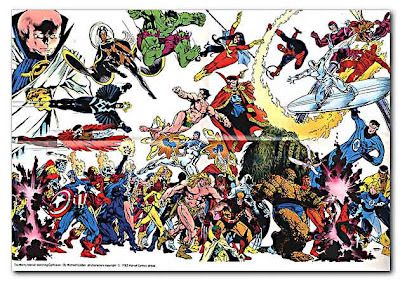 is what was designed for the original 1982 - 1984 series of the OFFICIAL HANDBOOK of the MARVEL UNIVERSE, by Ed Hannigan - and inked by Joe Rubinstein. 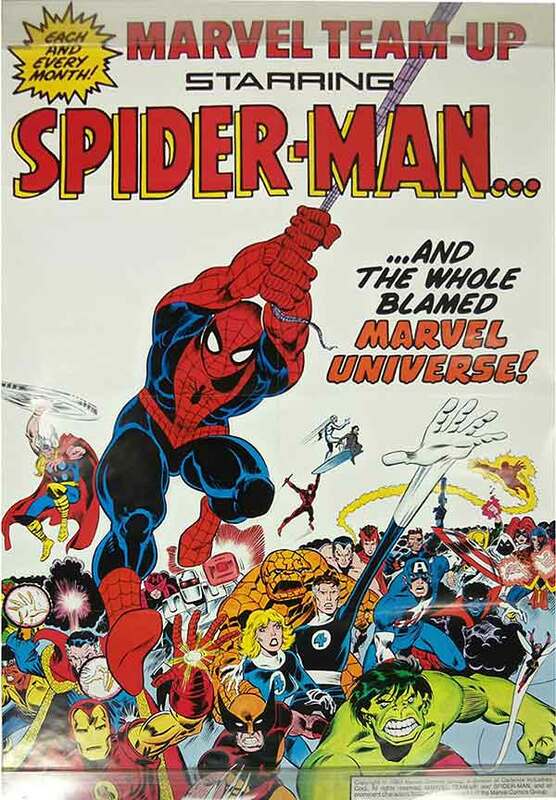 When all 12 original issues were placed in order, their wrap-around cover art would form this image (with some differences, as a few costume designs and artistic tweaks would be made when this poster was printed, in 1985). This poster would be re-released twice more - once in 1988 and again in the 1990's (iirc?) in conjunction with Dymanic Forces. The way to tell the original is by the date printed on the side. Also, the Dynamic Forces version has a Marvel and DF logo on the bottom left and I believe is much smaller than the original. 1982 - By Michael Golden. Here, in Michael Golden's illustration are featured but two of "THE THREE" - this time with ROM not present, as ROM was a licensed property and not one of Marvel's own characters. This 11" x 17" print was first available as a mail-away offer (for 50cents) found in many comics in 1982. The print came folded (2 folds) along with promotional materials from other publishers and outlets. 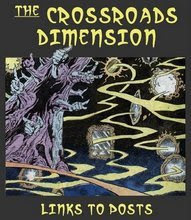 The print was later made available in the 1998 as a prestige edition litho by Dynamic Forces with all new computerized coloring and effects. Like the M.I. poster above, I'll be devoting a post to this wondrous poster, its history and incarnations at a later date. Now, can't you see why I was originally intending to wait before posting this item? oh wow this is way cool! damn, what a shame they didn't go with the sketch version as a final that had all three founding fathers (i like that!). there was something similar with Secret Wars #1 in which a poster version included Thor but the actual cover art did not. Could you hear me saying "who IS that riding on the front of Surfer's board???" We might as well call the final Team-Up poster 'ROM & Friends'...disregarding that mystery character, Medusa is the only one that was not also drawn in to an issue of ROM's comic. She and he did both appear in a major #1 issue together though. Thinking cap folks! :-) Just for fun. PTOR, Keep up the good work revealing obscure ROM items!! We appreciate it! What's funny is that i was GOING to post an ANNOTATED version of the poster - with every name of every character for every poster. But then, I regained my sanity. Seriously, the sad fact is that I (like many drooling comic droogies) can name every character on each of these images, and frankly... it makes me a little sad inside knowing that I have such a skill. However, I WILL help you sleep tonight, but letingn you know that the woman on the FRONT on the Silver Surfer's board is the Black Widow (in her grey one-piece jumpsuit from the 1980's). All you really needed to know is the color of the costume (grey), the length of her hair (a short bob, back then), and that flipped-up collar. Oh, and if Daredevil is on the back then it HAS to be the Widow up front (as they were an on-again-off-again item). So, what your saying is, Black Widow gets around, literally and figuratively. She wasn't in a ROM comic, but she was in Contest of Champions with him and Medusa.